Spectacle tour by S J Pierce! where you can a copy of this great novel! 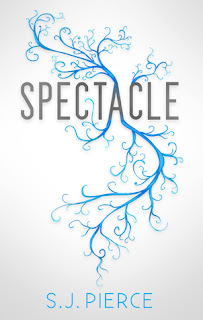 So I really enjoyed Spectacle, it has a dystopian setting and like the tag line above says it does have hints of Avatar (blue, lots of blue!). Set in a future where the world has been ravaged by earthquakes changing the landscape for the worse, Mira lives with her parents on what is left of the USA. 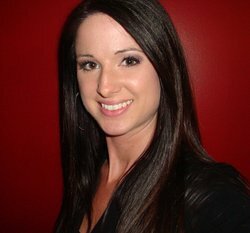 We first meet her as a young child during a time when her life changes for the worst. The discovery that her family, more specifically her father is not what he seems. He is far from human, he is of alien descent and Mira discovers that he is covered in blue markings that will easily identify him from everyone else. He is a changer. Not to spoil the story for you, due to events in the book involving her father, Mira ends up banished to island along with others like her who have been descended from the aliens. They are kept away from the human population, they are a threat. Mira, we meet again as a teen still on the island, most of the residents live like it is the dark ages. Mira still has one foot in her old life, where others are now wearing animal skins she still wears normal clothes. The story progresses with Mira getting the opportunity to prove the innocence of her father, how, well I won't spoil it for you but the government of New America are not known for their kindly nature and Mira is going to have a hell of a time clearing her fathers name. This is a really enjoyable novel, dystopia of course is everywhere just now and a novel in this genre really needs to stand out from the masses out there. Spectacle does a good job with a interesting plot, characters you can root for and wonderful descriptions of those blue markings! Well worth a read! Thank you to Xpresso tours for providing me with a copy in exchange for an honest review.